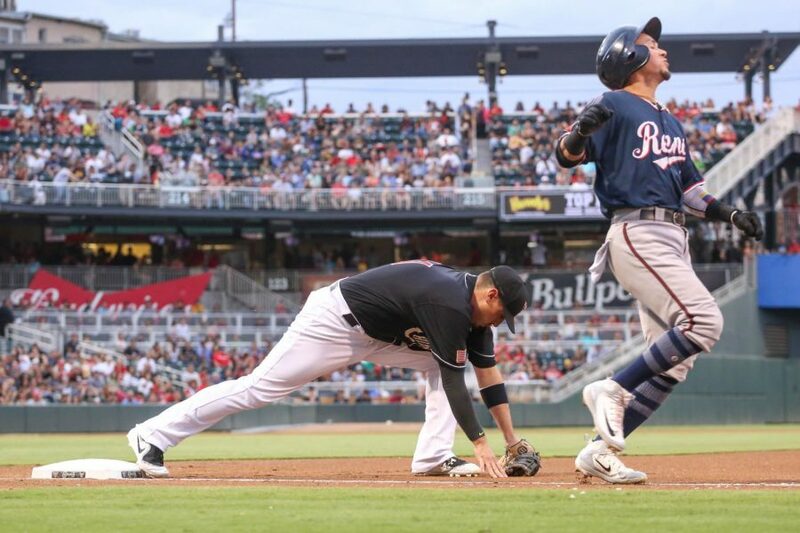 El Paso Chihuahuas first basemen Allen Craig gets a Reno Aces runner out at first during game 3 at Southwest University Park on Saturday, July 14. El Paso Chihuahuas right fielder Forrestt Allday sprints to first but gets out. A day after a rain postponed game, the Reno Aces stomped on the Chihuahuas in back-to-back games on Saturday night, winning 7-3 and 4-1 in the doubleheader series. In the first game, longtime MLB relief pitcher Neftali Feliz allowed two runs in a five-inning start in the first game, as Reno took the 7-3 win. 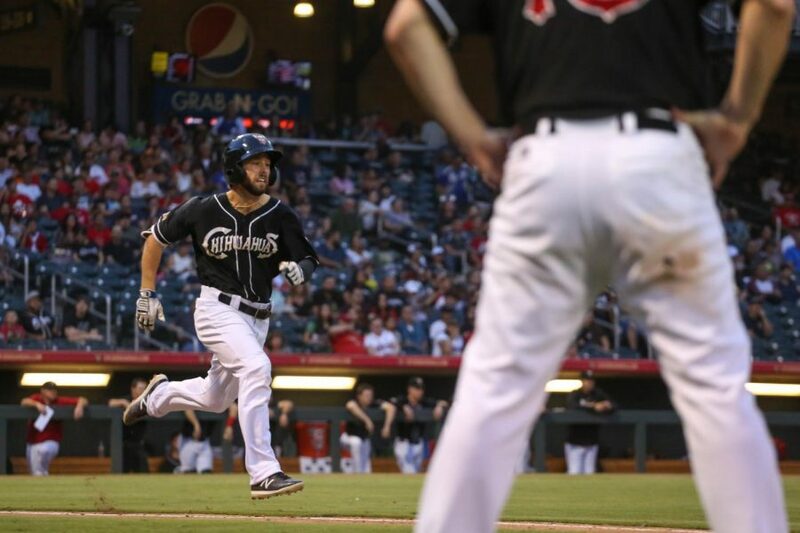 Cory Spangenberg had a double and a home run, as Dusty Coleman hit a solo shot in the bottom of the seventh. 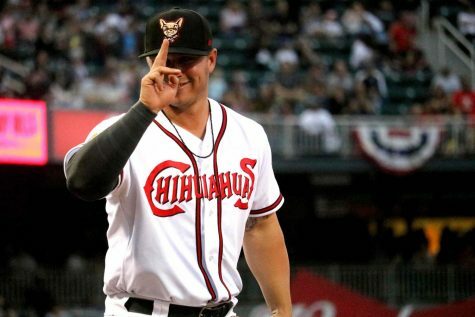 In the second game, Reno hit two homers in their 4-1 win, which gave the Chihuahuas their third straight loss. Reno has hit seven home runs in the three games against El Paso. Next up, Reno and El Paso wrap up their series on Sunday at Southwest University Park, starting at 6:35 p.m.